James Alex Fields Jr., of Maumee, Ohio, is charged with first-degree murder and accused of driving his car into a crowd of counterprotesters during a "Unite the Right" rally in Charlottesville on Aug. 12, 2017. Civil rights activist Heather Heyer was killed. CHARLOTTESVILLE, Va. (AP) — A jury has been seated in the trial of an Ohio man accused of killing a woman and injuring dozens at a white nationalist rally in Virginia last year. 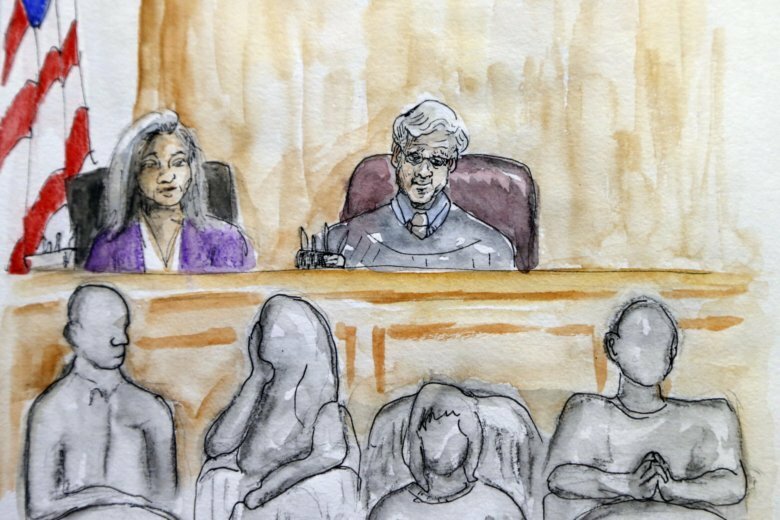 Jury selection was completed Thursday morning in the trial of James Alex Fields Jr., of Maumee, Ohio. He’s charged with first-degree murder and accused of driving his car into a crowd of counterprotesters during a “Unite the Right” rally in Charlottesville on Aug. 12, 2017. Opening statements from prosecutors and Fields’ lawyers were expected to begin after a brief court recess. Fields’ lawyer has indicated Fields may claim he was acting in self-defense. Prosecutors say he intentionally plowed his car into the group. A jury of 12 regular jurors and four alternates will hear the case.